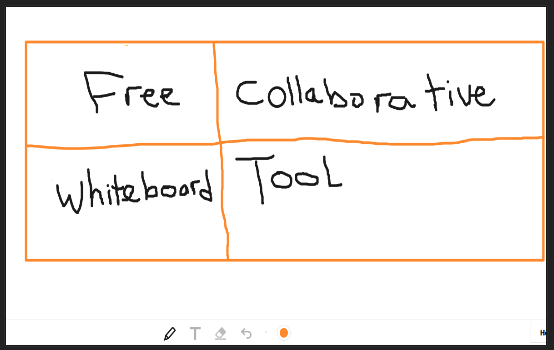 Witeboard is an excellent collaborative whiteboard tool you can use to collaborate with your team and brainstorm ideas in realtime. We have already featured this tool in one of our previous New EdTech Tools post and since then the tool has grown so much in popularity. 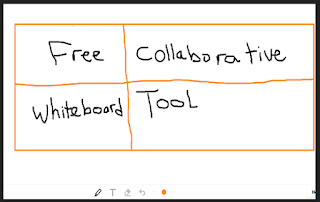 The great thing about this whiteboard tool is that it does not require a sign up and is available on desktop, tablet, and smartphones. Students can use this tool to collaborate with each other on classroom projects. They can see each others contribution live and trace back the history of what each one has edited. The way Witeboard works is simple and easy. You simply head over to its home page and start writing, drawing, or sketching. Within its canvas you will find tools such as a pencil, text, eraser, and colours to use in your creations. It also offers other features such as shape detection and a Slack plugin. Once your sketch is ready you can click on the share button on the top right corner and share the link with your collaborators. Watch the video below to learn more about Witeboard.